As has been mentioned a couple dozen times over the past two weeks, today is the day I get to talk about one of my top three favorite Disney films of all time, 1950’s Cinderella. Everyone knows the story of the orphaned cinder girl who works for her evil stepmother and sister(s) and then, with the help of her fairy godmother, goes to the ball, meets and falls in love with the prince, runs away at the stroke of midnight, and can only be identified by her glass slipper. This is one of the truly universal stories, as every culture for the past 2000 years has some variation on the classic. For example, in the Chinese version, written down over 1000 years ago, the fairy godmother character is actually a magical fish, while the Grimm Brothers version uses a magic tree on the mother’s grave. Walt Disney chose the version written by Charles Perrault in 1697 with the fairy godmother and magic pumpkin, a much gentler version than the Grimm version, where the sisters cut off portions of their feet so the slipper fits and, at the end, get their eyes poked out by birds (those Grimm brothers didn’t play when it came to handing out punishments). Cinderella has been adapted for every possible entertainment medium including opera, ballet, theater (both musical and play), movies, books, songs, television episodes, and even a comic book or two. The term “Cinderella” is even used to describe sports teams (particularly in NCAA basketball) that make an unlikely trip to the post season and succeed beyond all expectations. In a lot of ways, the Walt Disney Company was a Cinderella trying to get to the ball when this film debuted. Disney had not had a commercial success since Snow White in 1937. Bambi and Dumbo, while now some of the most beloved films in the canon, were not financially successful the first time out at the box office; and then came World War II, which put many projects on hiatus and forced Disney to put together the package films to remain afloat. While the package films did break even, they really didn’t make the studio much money–to the point that the company was in trouble of going under. Roy O. Disney, Walt’s brother, even went so far as to suggest to Walt that they get out while they still could and retire. But Walt said no and decided to give the single storyline feature-length film concept one last chance. It was a great risk but in the end, it was definitely worth it. 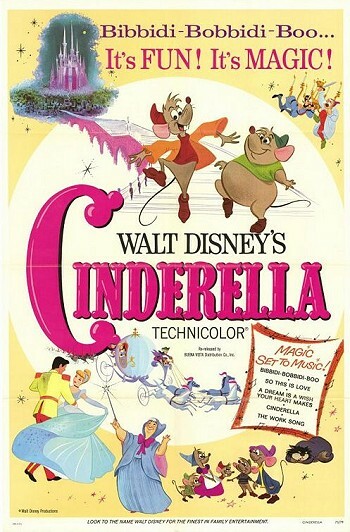 Cinderella was one of the highest grossing films of 1950 and has done very well in subsequent releases. Cinderella has everything that makes a great Disney animated feature: beautiful animation, great characters, and wonderful music. 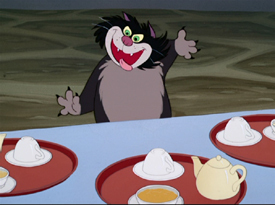 Disney was always innovating with new techniques in animation, and this film was no exception, as it would mark the first time that the entire film would be acted out in live-action and filmed so that the animators would have a point of reference. 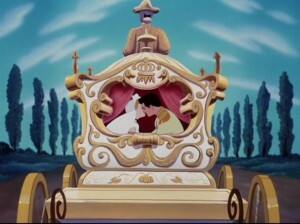 Cinderella also features one of Walt Disney’s (and my) favorite bits of animation: Cinderella’s dress transformation. I know Cinderella gets a lot of flak from the feminists today for being a doormat but really, in the time this is portrayed, what else was the girl supposed to do? She wasn’t married and had no means of support. Besides, this was HER house. Stepmom and sisters were the interlopers, not her. But beyond that, Cinderella really wasn’t a doormat. Yes. She did as she was told, but she did try to stand up for herself (not that it did any good). She also had no qualms about scolding Lucifer, was probably breaking half a dozen rules having mice in the house, and was even a little sarcastic (at least to herself) when pondering whether to deliver the ball invitation during the “music” lesson. So, no, I don’t think she was a doormat–just a girl trying to make the best out of a bad situation. 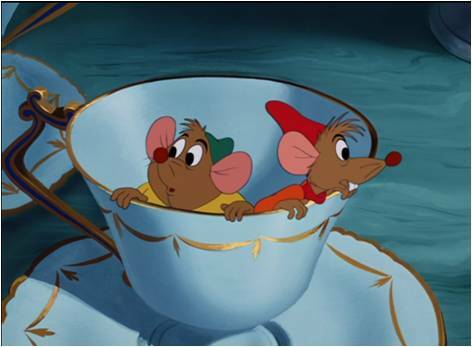 Jaq and Gus Gus are probably my two favorite Disney mice (yes, that’s ahead of Mickey). Jaq is the clear leader of the mice (well, at least the guy mice, anyways) and their spokesmouse. He’s the guy who comes up with the bright ideas and spurs his fellow mice into action. Gus Gus, on the other hand, is the newest member of the household and is still learning the ropes. While he is not always the brightest mouse, he makes up for it with fierce loyalty and determination, as seen with his adventure to get the key back up to Cinderella. 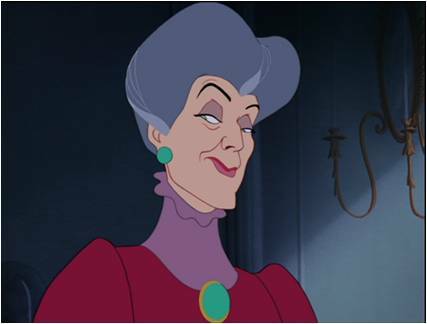 Lady Tremaine is definitely in the top three among villainesses (and I would say top five across all Disney Villains) in terms of pure evil and ruthlessness, which is why it’s fitting that her voice is provided by Eleanor Audley, who would later go on to voice Maleficent (best Disney villain EVER). Lady Tremaine is very focused on doing everything in her power to get her daughters into the best circles possible, preferably at the expense of Cinderella. She takes almost a delight in watching her awful daughters destroy Cinderella’s dress, then calmly wishing her a goodnight. Later, she gets similar joy at the Duke’s reaction after she trips his footman, shattering the glass slipper. But what everyone remembers most about Cinderella is the music. Songs like “Bibbidi-Bobbidi-Boo” and “The Work Song (Cinderelly Cinderelly)” have the lovely effect of getting in your head and not going away. You know what I’m talking about, as you will probably be humming one or the other for the rest of the day even though (melody-wise) they are two of the most obnoxious tunes ever. My favorite song from this classic, however, is the title of this post: “A Dream is a Wish your Heart Makes.” This song sums up beautifully the point of the whole film, which is: even in tough times, trust in your heart and have faith, and eventually things will get better. Dreams do come true, but you have to believe in them and work towards them. Even Cinderella worked towards her plans by getting all her chores done so she could go; she just had a little help with the dress and transportation. Lips red as the rose. Hair black as ebony. Skin white as snow. Most everyone’s mad here. I’m not all there myself. Oh, this is the night. It’s a beautiful night. 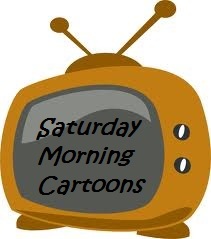 Awww, Nikki, you’ve taken me back to wonderful afternoons with my family (re)watching my favorite childhood fairytale . Disney has cornered the market on fantasy, that’s for sure. After watching the movie a few times, and being in total awe of THAT DRESS, I was a bit sore that we never really get to know the Prince. We don’t even know the poor guy’s first name. Still, I love how Cinderella and her almost nameless beau share a doggedly determined spirit. This is my first time seeing that commercial. It seems there are plenty of ways to profit from adult females who grew up watching these films, including designing Disney Princess-inspired wedding dresses. I know what you mean about the dress. My senior year in high school I scoured the fabric stores in two states looking for Cinderella blue fabric for my prom dress and while the dress itself was a moderate success, the color was perfect.